I'd been wanting to get my pilots license for YEARS now and am getting to a point where I may just do it. But, what to with it once I get it? I'd been budgeting about $7-10K to get the license, but then again that amount of money buys a lot of airline tickets. It seems like that new "Light Sport" license may be a better way to go for practicality-wise for me... but my analogy is such.... "why spend $1500 for a Blast, when an XB is about $1000 more all day long?" Yes, though I haven't done it in years, I can still fly but unlike!e lunatic, I am not licensed. If I were going to get into it now, I'd probably buy a gyro copter, good speed, pretty safe, and a lot of fun. I've owned two of them, an RX Beaver on amphib Full Lotus floats and a Ridgerunner on straight aluminum floats. Great flying fun without all the regulations, at least in Canada. I would suggest that before you buy, you get some seat time in one to see if it's for you and line up an instructor. Many flight schools provide introductory flights. And keep in mind that although they are not regulated as much as other planes you do have to learn how to fly and more importantly how to land! 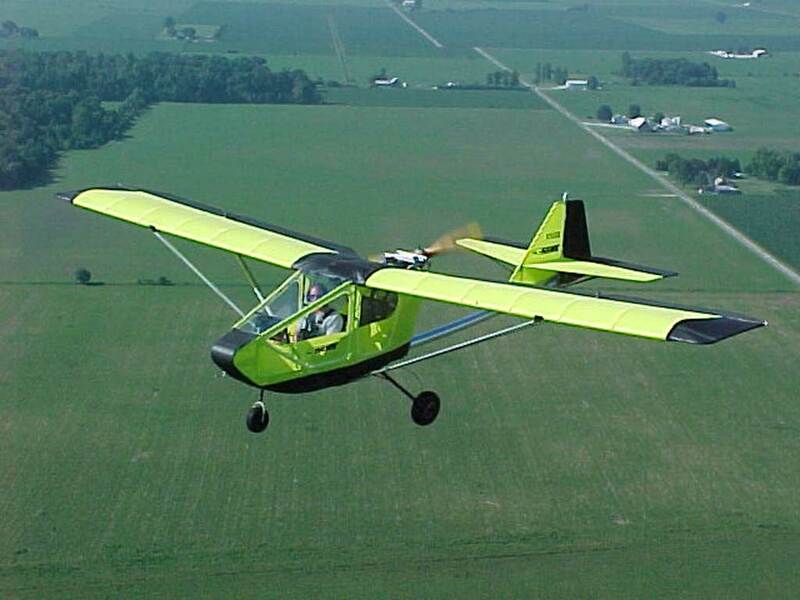 Ultralights provide the flying experience safely and economically with some restrictions of course. I personally loved sightseeing from about 500 feet, something you only get in other aircraft as you are climbing to or descending from altitudes where you don't even have the sensation of height! Good luck and happy landings! John....you are the man! I was a student pilot trying for my private pilots license about 10 years ago. I was getting close to my to solo flight. One day my daughter calls me and says, "let's go grab a bite to eat tonight." When we met for supper she told me that she thought she was about to be proposed to. She was. He asked me, then he asked her. It was a great decision. He's a great son in-law. Now I have two great grandkids. BUT......there went my flying lessons(wedding to pay for). It was $149/hr wet at the time. It's $209/hr now. I would love to go the private pilot route, but it probably ain't gonna happen. Priorities have changed. I just want to get up in the sky and putt around a little. So, I've been looking at ultralights. Here's the one I like the best so far... CGS Hawk - enclosed cab - engine options like Hirth and Rotax. Thanks mosquito. Now I have a couple more aircraft to go and research. Great ideas on seat time and definitely on instruction. We'll see what happens. I'm in research mode now. I've never been an impulse buyer. I can't afford to be. Fun, fun, fun. Last edited by lancruza; 04-06-2019 at 11:23 AM. I believe your logic is sound. The LSA license is definitely less expensive to obtain than a PPL, but it's still expensive. I'm looking at going the ultralight route for multiple reasons. According to FAR103, no license is required to fly an ultralight. Another reason is that I can perform my own maintenance and work on my own aircraft, which would save a ton of money. There are limitations with flying an ultralight, but none of those bother me, for what I want to do. I believe the most cost effective way to get into aviation is with an ultralight. If I start there and then want to do more, I would probably go for the LSA license next. One step at a time for me. Lot's of ultralights around at reasonable prices. I'm trying to find a trainer here in my neck of the woods that I can trust and get some good instruction from. I luved flying in the Cessna 172 in flight school. I'm hoping I can get my flying fix by trying ultralights. I've been looking at everything from trike type powered parachutes, backpack paragliders, and ultralights. Lots of different options. Options are good. Don't forget, you can also build your own plane and although you would have to get a pilot's license, you could do all the annuals yourself, just make sure you know what your doing and that you indeed do it. Damn lancruza! I’m dying to see what you do!